Valley Tyres are the biggest independent tyre retailers in the Hunter Valley area and one of the largest independent tyre dealers in Australia. We have been servicing the tyre industry for over 40 years, ensuring drivers get the right tyres for the right price, with minimum hassle. Throughout our enduring reign as the local tyre experts, we have continued to exceed expectation with quality brands, friendly service and competitive prices. 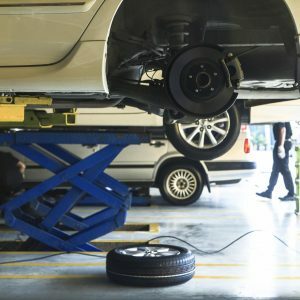 While we continue to serve as tyre specialists with access to the biggest range of brands for vehicles of all sizes, we also offer general mechanical services for cars and 4WDs. Our mechanical team offer log book servicing, registration checks, battery replacements and minor vehicle repairs. Best price guaranteed – we will beat any tyre price. All brands – with our huge network of suppliers, we can source any tyre brand. Free pick-ups and deliveries – For local customers we can drop you off and pick you up while we are working on your car. Courtesy cars – Ask us about our courtesy car! As a family owned and operated business, Valley Tyres believes in offering the best in service. We’ve been doing this for 40 years and this has simply become part of the Valley Tyres culture.